Home appliances don’t get a lot of love. On bad days, we scream at them to work better, faster, stronger. On good days, we slam the door shut or push them into a corner, forgetting about them until we inevitably need their services again. 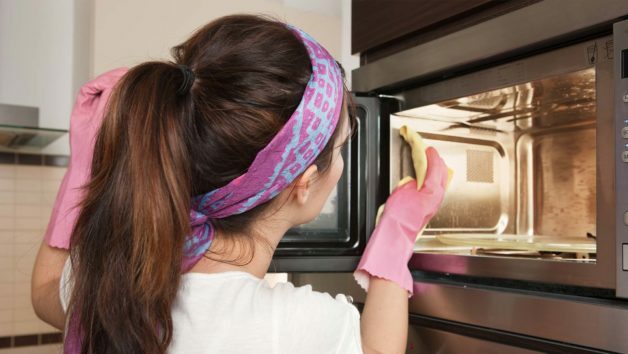 But all that daily wear and tear can take a hefty toll on home appliances—and most of them don’t have a self-cleaning mode. Yes, even the things that do the cleaning for us get dirty. 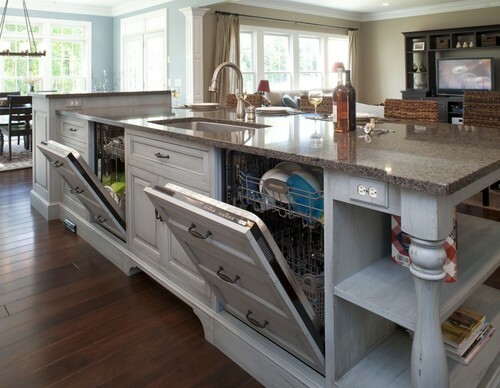 So show these kitchen and laundry room workhorses a little TLC with these cleaning hacks that promise to make your equipment run well—and sparkle, too. Nuking your coffee and popping (OK, burning) bags of popcorn can leave this box gummed up and smelling rancid. Fortunately, there’s an easy fix—and it can be found in your fruit bowl and pantry. Pour a half-cup of vinegar in a microwave-safe bowl, float the slices of one small lemon on top, and then cook it on high for two minutes. The cider’s steam gets into the vents to combat odors, while lemon gives this appliance a nice scent. Plus, citrus oils help to break down grease, Novak adds. The steam will also soften grime on the inside, which you can then scrape away with a (zero-balance) gift card. Not a fan of lemon? Trade it for a half-teaspoon of vanilla or almond extract. 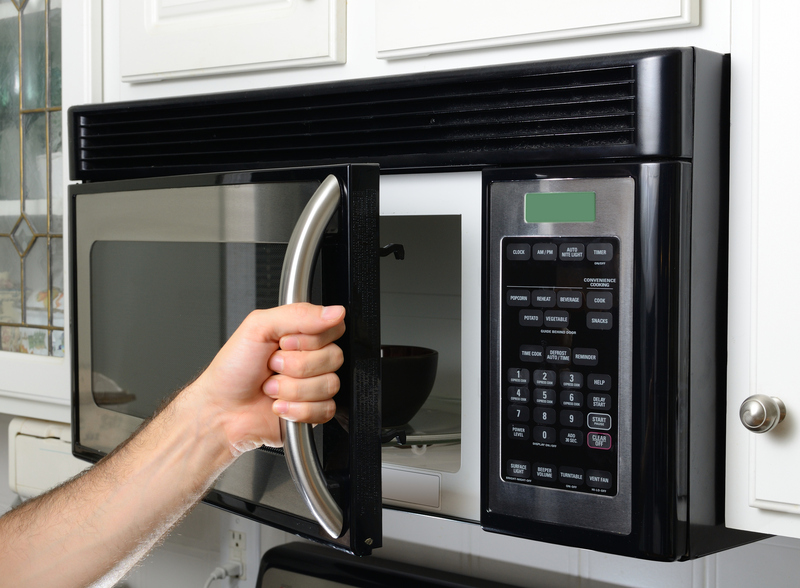 If you ignore this appliance for too long, your cup of joe will start to taste a little off. You’ll taste the residue of your coffee maker’s collective brews. In other words, remember that what you put in will eventually come out. “Some people use their coffeepots to brew tea and other drinks, which can also affect the coffee you make later on,” Novak says. Burned or flavored coffee, in particular, can leave behind a less-than-appealing smell, she notes. To deodorize the pot, swish it with warm water and a splash of distilled white vinegar. For a deeper clean, run this same solution through the maker on the regular brew cycle. “If you’re supersensitive to taste, you can put plain water through the appliance after to removed any traces of vinegar,” Novak says. That black buildup you see on the edges of your dishwasher isn’t pretty, and it certainly doesn’t make you feel good about the supposedly clean plates you and your kids eat off of. “This substance is a mixture of soap scum, decomposing food, and water residue,” Novak says. Gross, right? Attack this mess with baking soda and hot water. “The baking soda will break down the fatty acids while water washes away the goo,” she explains. You may also need a few cotton swabs to clean smaller areas around the edges. Want to prevent this gunk from accumulating in the first place? You can always give dishes a thorough rinse before loading them (too much food will clog the drain). If you’re staunchly in the “no prerinse camp,” then you should at least make sure to scrape all the food off your dishes before loading. We’re not animals! 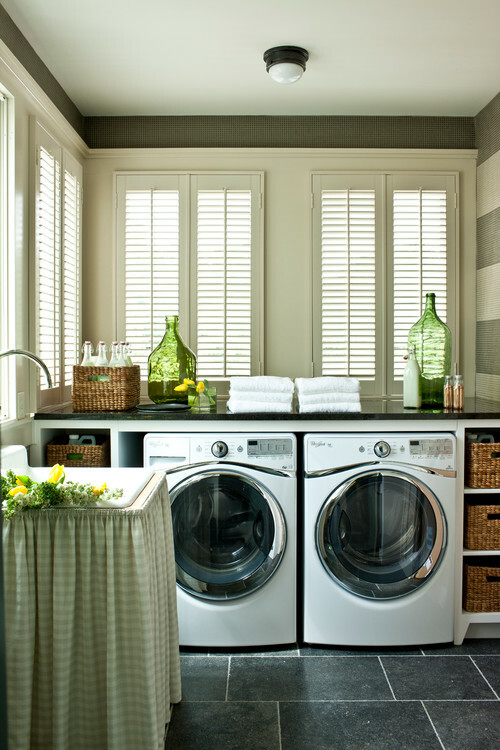 Maybe you’re tired of seeing your washer covered in caked-on detergent. Or perhaps you can never get all the tiny pieces of lint that stick to the edges of your dryer’s lint trap. If this describes you, it’s time to get intimate with the inner workings of these two appliances. The lint trap and soap dispenser can be removed for cleaning in many washer and dryer models. Take a sponge with hot water and dish soap and give both a scrub. You can also run the washer through its cycle with a 50-50 mixture of water and white vinegar. The dryer can be wiped clean with a damp cloth to remove any lint, hair, and bits of fabric. And when it comes to those sticky glass doors, grab another lemon. Halve it, dip the cut end in baking soda, and then scour the inside of each appliance door, Novak suggests. The lemon juice cuts through the buildup, and the baking soda acts as a mild abrasive. Finish by wiping with a damp lint-free cloth. First things first: Unplug the darned thing. OK? You don’t want to mess with electricity and this home appliance. After you’ve cut off the juice, sprinkle cream of tartar on a damp, nonabrasive sponge and clean the exterior and top of the toaster. You can also use a slim paint brush to remove those pesky crumbs on the inside. Carefully brush crumbs away from the coils in your toaster so they fall to the bottom and land in the tray, Novak says.You can also gently tap the toaster to dislodge crumbs—but not too hard, or the coils can loosen, she adds. Next, remove the tray and wash and dry thoroughly before replacing. Voila! Clean as new.